Neurodiversity is not just a conversation topic! Help build a community that welcomes Autistics into your world, into your and your children’s friendships, into your neighborhood gatherings, into your workplace, places of worship, schools and playgrounds! means you embrace it, grow from it, and build relationships with people who have it not only those who love someone with it! 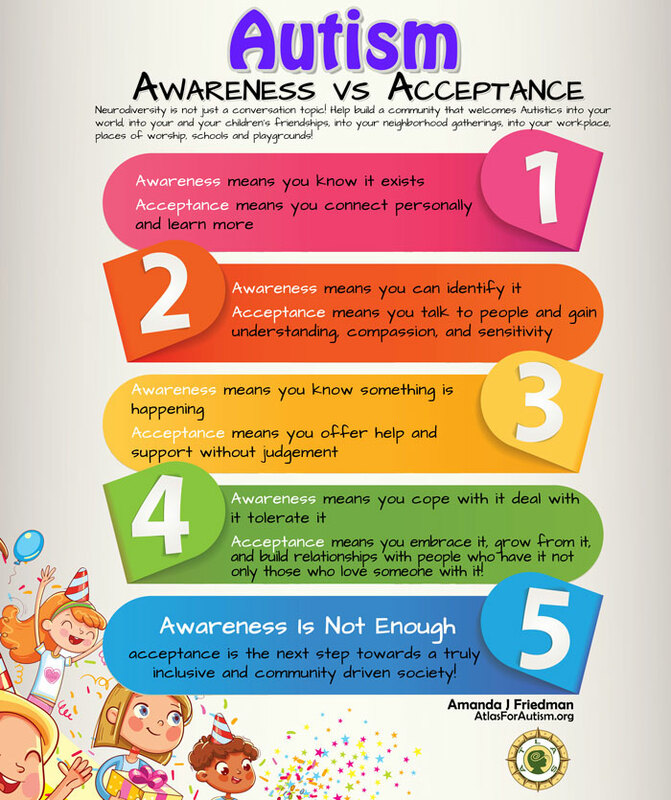 acceptance is the next step towards a truly inclusive and community driven society! 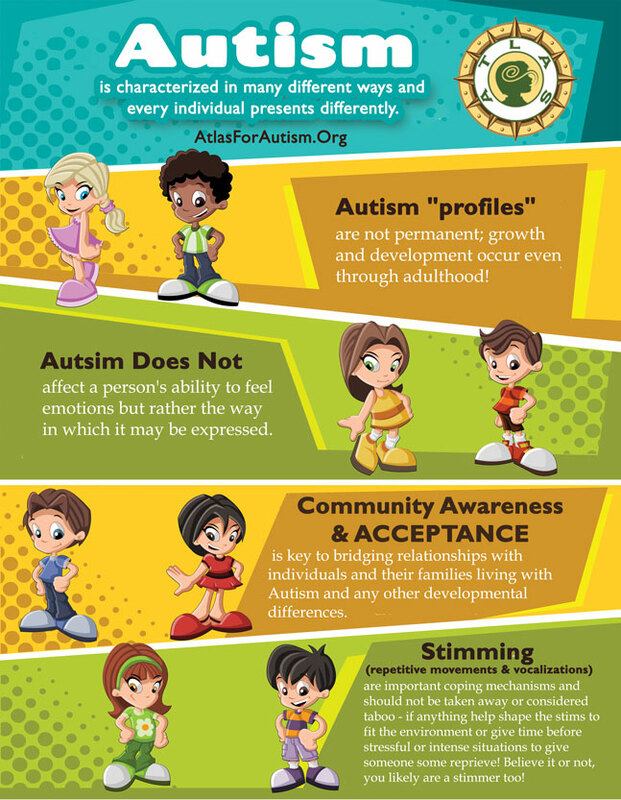 Autism is characterized in many different ways and every individual presents differently. are not permanent; growth and development occur even through adulthood! affect a person's ability to feel emotions but rather the way in which it may be expressed. is key to bridging relationships with individuals and their families living with Autism and any other developmental differences. are important coping mechanisms and should not be taken away or considered taboo - if anything help shape the stims to fit the environment or give time before stressful or intense situations to give someone some reprieve! Believe it or not, you likely are a stimmer too!